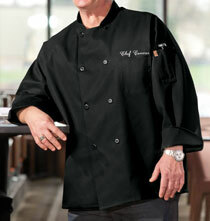 Foodies are people who enjoy exploring food in ways that take them on exciting culinary adventures. Some foodies love to roll their sleeves up and dive into a treasured recipe, or create their own recipes from scratch, cooking meals that they love sharing with family, friends and their fellow foodies. And, there are foodies who simply love to eat different types of foods, often developing a taste for delicacies they enjoy serving at gatherings and parties. 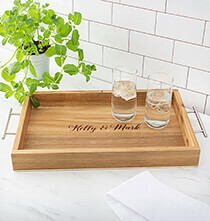 This collection features personalized gifts for all foodies and lovers of fine cuisine. 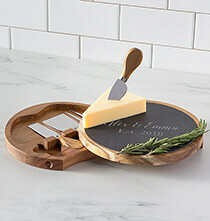 When you’re looking for a great gift to give a foodie, practical staples such as wooden cutting boards and carving sets are much appreciated. 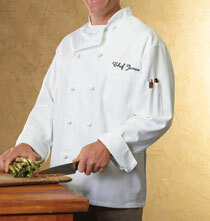 We offer an extensive selection of quality cutting boards and cutting board sets made of hardwood. 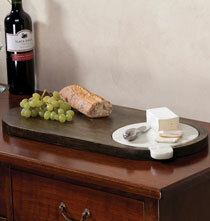 These boards have smooth surfaces and their natural beauty enhances any kitchen’s décor. 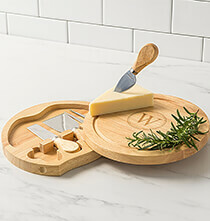 Wood boards are useful for chopping all sorts of fruits, meats, cheeses and veggies, and they make nice serving platforms as well. The wooden spoon is one of those kitchen staples that are used often, and our spoons are made to last a good long time. 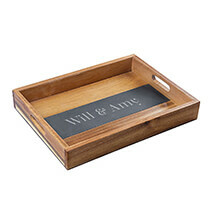 Engraved initials or names add personalized sophistication to each board or spoon gift. For the skilled home chef, you can find quality carving sets for use at home or for meal prep outside the home. Foodies enjoy drinking a variety of beverages with their meals, including beer, wine and cocktails. Our foodie collection includes numerous tasteful glassware sets that set the tone for libations served from the home bar. We offer beer glasses, beer mugs, growlers, wine glasses, rock glasses, decanters and pitchers in elegant designs that suit the personal tastes of your gift recipient. 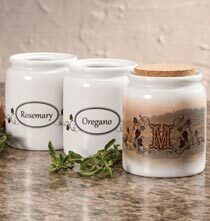 Surprise your food loving family member or friend with a charming stoneware crock featuring their name and one of our charming graphic designs. 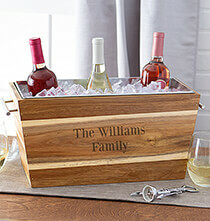 Crocks are useful for organizing and storing utensils and all sorts of commonly used items. 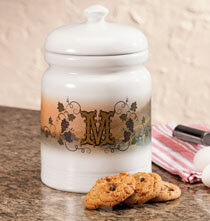 We also offer decorative serving bowls, spice holders, recipe boxes and baking dishes for the home cook. 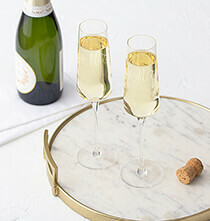 Personalized Champagne Estate Glasses Set of 2, 9.5 oz. 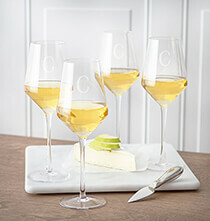 Personalized White Wine Estate Glasses Set of 4, 14 oz. 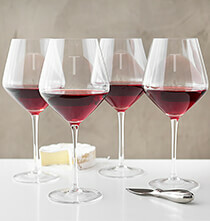 Personalized Red Wine Estate Glasses Set of 4, 23 oz. 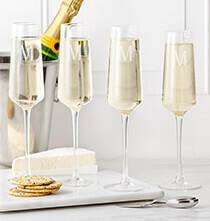 Personalized Champagne Estate Glasses Set of 4, 9.5 oz.